There are countless ways organizations have used our products in business and educational settings. Here are a few links to relevant websites relating to using our simulations. We are just starting this resources so be sure to check back often. Please feel free to contact us if you’d like to have a link included. Lesson Plan for NYU Intro to Sociology. 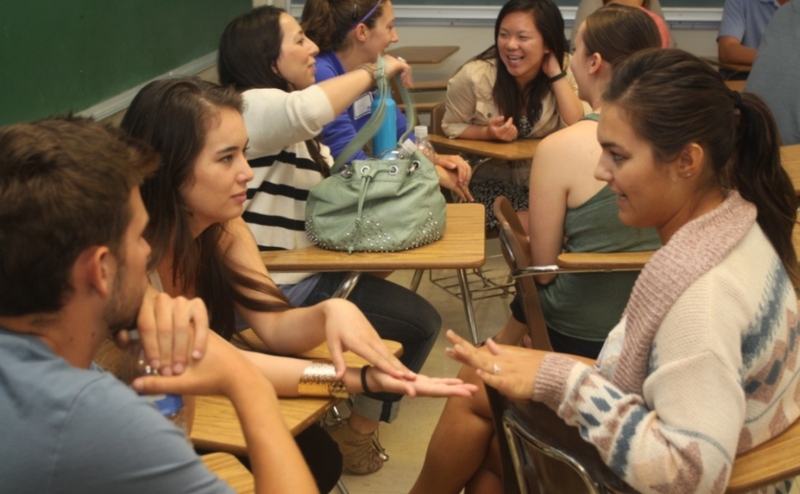 University of Nebraska – Bafa Bafa Game Immerses Marketing Students in Strange New World. 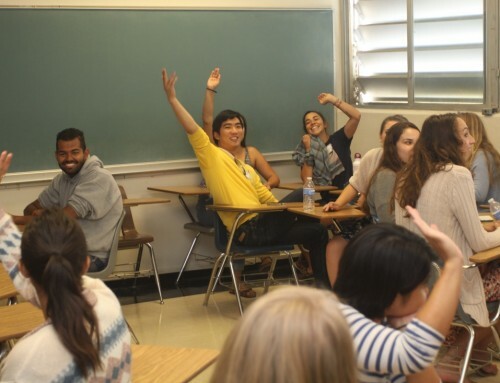 Chris Coey Project Blog – A Sacramento City School Blogs weblog – (excellent recount, analysis and discussion about their class experience with BaFa’ BaFa’). 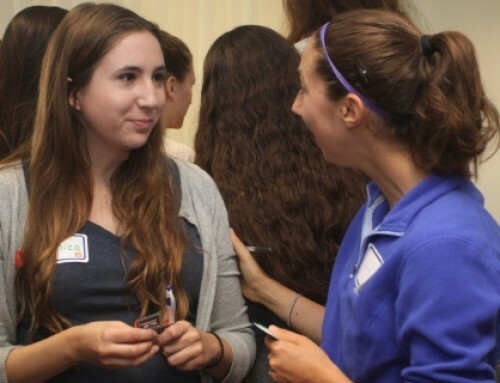 George School Global Service Program Overview – Extensive program overview and lesson plans. The Civic Education Project (CEP), an international non-profit organization, has supported grassroots efforts to reform higher education (very good description of how it’s been used and some take aways). 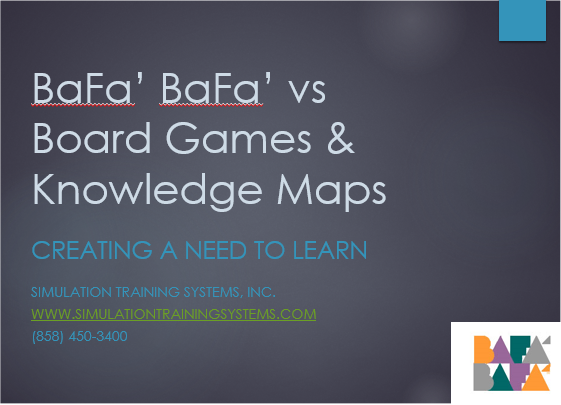 Teaching and Learning Resources: BaFa-BaFa Game. Sonoma State University Debriefing from BaFa’ BaFa’ (excellent series of discussion questions pertaining to creating and communicating in a community setting). 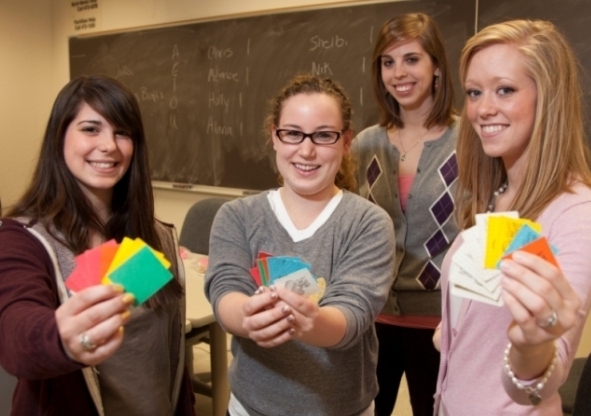 University of Wisconsin, Whitewater: Using Exercises and Simulations to Engage Students (basic description of BaFa’ BaFa’ and StarPower and why simulations such as these are helpful to students). Cagli Crescendo, by Mandi Lindner: Bafa Bafa: Teaching cross-cultural transitions since 1977 (general description of his experience as a participant in BaFa’ BaFa’ as part of preparing to travel abroad). Debwewin project website: anti-racism initiative for Northern Ontario: What is BaFa’BaFa’? (general overview and outcomes of using BaFa’ BaFa’ in the classroom). 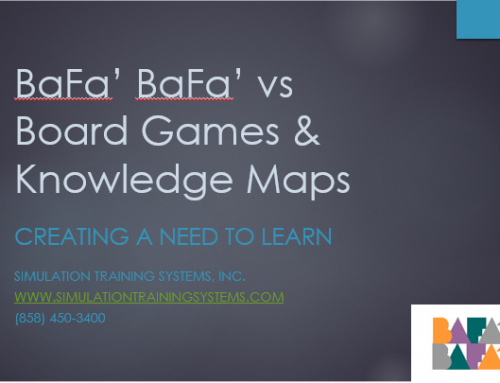 Center for Advanced Research on Language Acquisition (CARLA) – University of Minnesota: Culture Learning: Simulations & Exercises list and descriptions of effective simulations including BaFa’ BaFa’, StarPower, Where do You Draw the Line and Guns or Butter. 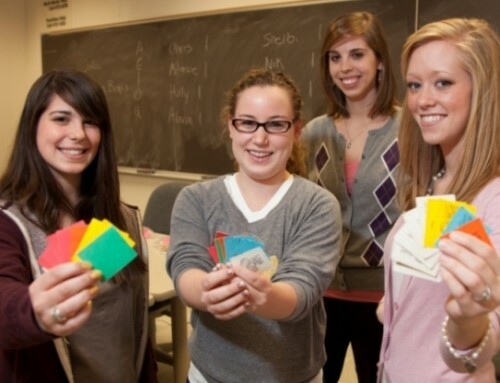 American Sociological Association (ASA) – Introsocsite: Introductions to Sociology: Lesson Plan BaFa’ BaFa’, curriculum for an advanced high school sociology course that could also serve as a model for introductory sociology courses in colleges and universities. Civic Education Project – Strengthening Democracy Through Education: Teaching & Learning Resources (BaFa’ BaFa’). Three papers detailing BaFa’ BaFa’, it’s learnings 1. A Beginners Guide to Running the BaFa’ BaFa’ Game. 2. Understanding BaFa’ BaFa’ significance – A Report of the Game. 3. We Love this Game: Another BaFa’ BaFa’ session at Telavi University. Missio Nexus Website – Intercultural Communication Resources – Connecting You With Mission Resources – Intercultural Communications. 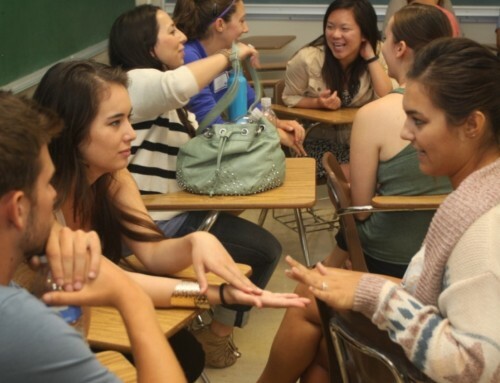 An extensive list of links of Intercultural games and exercises. The Collegio – Chicken soup for the cross-cultural soul by Valli Sridharan. Interesting and insightful quotes from the participants of BaFa’ BaFa’. the over representation of students of color in special education. Diversity Dimension Report University of Texas Brownsville. 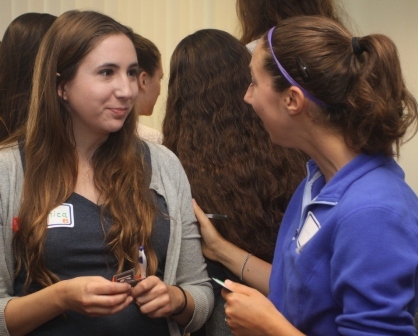 Explanation of goals and resources to encourage and embrace student diversity. The Journal of Physician Assistant Education, 2007 Vol 18 No 2: Integrating Cultural Competency Across The Curriculum, Howard Straker, MPH, PA-C; Susan LeLacheur, MPH, PA-C, George Washington University, PA Program, Washington DC. Excellent article about using BaFa’ BaFa’ to create cultural competency in the Physicians Assistants program. Cultural Awareness; Games and Simulation by Eileen Richardson (pdf). Good explanation of pros and cons of using simulations for teaching cultural awareness in the health care industry. Cultural Competency in Medical Education: A Guidebook for Schools (pdf). Published by the U.S. Department of Health and Human Services. A very extensive guidebook (45 pages) detailing strategies for creating cultural competencies in the medical field. Nursing Students’ Perceptions of a Simulation Game to Promote Cultural Sensitivity by Blackburn, Donna S., PhD, RN. Evidence-based Practice Session Presentation with interesting findings as to the effectiveness of using BaFa’ BaFa’ to teach nursing students. Virginia Henderson International Nursing e-Repository. Raising awareness of class privilege among students – Diversity and Democracy: Civic Learning for Shared Futures. Association of American Colleges and Universities. Unlearning the Lessons of Privilege by Adam Howard as published in Educational Leadership – as seen on ASCD website. Illustrating the Nature of Social Inequality with the Simulation Star Power, by Lauren Dundes and Roxanna Harlow, Teaching Sociology, Vol. 33, No. 1 (Jan., 2005), pp. 32-43. This is a link to download the complete article. The Rules of the Game: Questions, Musings, & Rantings on Quakers and Social Class by N. Jeanne Burns. Interesting blog about StarPower and how difficult it can be to get people to change the rules. American Sociological Association (ASA) – Introsocsite: Introductions to Sociology: VI Social Inequalities – Resources for Students and Teachers. National Institutes of Health Public Access – Star Power: An Experiential Learning Exercise to Foster Ecological Perspectives on Power, Privilege, and Oppression. Purpose of article is to describe the utility of Star Power, as an experiential learning exercise applied in a community psychology undergraduate course. Society for Community, Research and Action – Star Power: An Experiential Learning Exercise to Foster Ecological Perspectives on Power, Privilege, and Oppression. Similar article as link above but without comments and including many interesting ideas for post simulation discussion. What’s Race Got To Do With It? 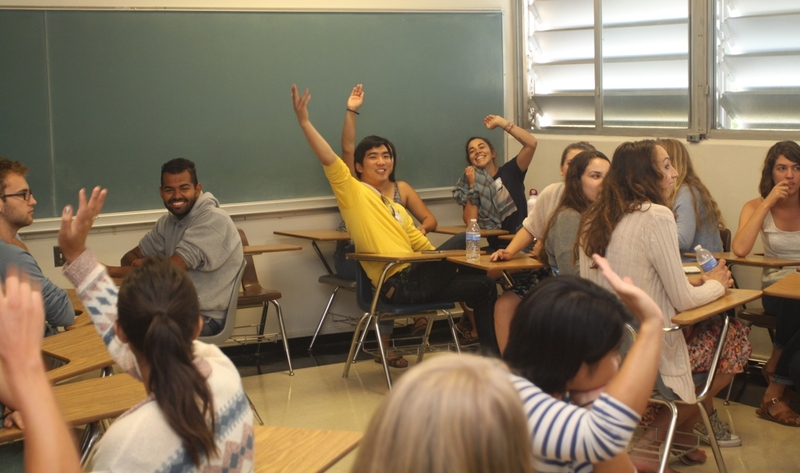 – Social Disparities and Student Success – Engagement Games. Good list of different types of activities (low to high risk) for students and for students to lead discussions. Social Psychology Network: Industrial-Organizational Psychology Links by Subtopic (Industrial Psychology). Good resource for many products and organizations. BaFa’ BaFa’ – Asking questions about another culture, what works and what doesn’t.